At the company’s summer 2017 Wonder Festival booth, Kotobukiya announced its seventh Medarot model kit, the first new one in years, KBT-04M Arcbeetle. While an unpainted prototype was showcased, pricing details and a release window have yet to be determined. 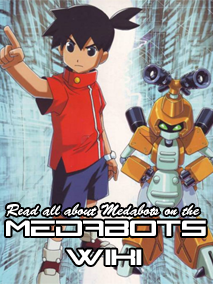 Kotobukiya’s Medarot line started in 2011 with Gun-Nose. Prior to Arcbeetle, the last kit was 2014’s release of Saikachis. Kotobukiya routinely reissued earlier entries due to fan demand. The company has also announced that they’ll be doing another production run for their KBT 000-M Metabee kit. It’ll hit retailers in October and cost 3456 yen. Prior to this, Kotobukiya most recently reissued the kit in July 2016. Yes, that first image is from Horuma Rin, the author and artist behind a number of official Medarot projects. It seems he was allowed to make some unofficial Brass, Maasai Moran and Beet figures. Via: Kotobukiya, AmiAmi Hobby News, Kennel Industry, Nukokoko.